If you’re trying to decide between buying vs. leasing, you’ll definitely want to know about the benefits of the Acura Luxury Lease™ program. Mileage Forgiveness™: Option to have up to 7,500 excess miles waived-plus an extra 1,000 miles added to the new base-mileage amount-with the signing of a new Acura Luxury Lease. – Momentum Miles™: Option to have up to 15,000 unused miles rolled over to the next Acura Luxury Lease. No disposition fee. This is a typical fee that is usually due at lease end that you won’t have to pay. $1,500 excessive Wear and use Waiver included. AFS will waive excessive wear and use charges caused by one or more single events, each of which totals less than $500 to repair, up to a maximum of $1,500. Guaranteed Asset Protection (GAP) included. Option to purchase additional mileage for 10¢ per mile at contract signing. 1.Acura Loyalty Advantage eligibility is subject to verification and credit approval by Acura Financial services. Acura Loyalty Advantage benefits expire 180 days from your lease maturity date. 2.If you are over mileage, up to 7,500 excess miles are eligible for waiver if you finance a lease or retail purchase of a new Acura from a participating Acura dealer through Acura Financial services. 3.If you are under mileage, up to 15,000 miles can be rolled over to your next leased Acura financed by Acura Financial services if the new Acura is leased from a participating Acura dealer. 4.Maximum of $500 per incident; total of $1,500. 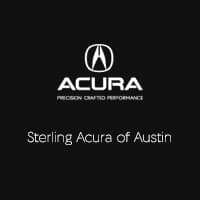 © 2011 Acura Financial services® is a DBA of American Honda Finance corporation and both are service marks of Honda Motor co., Ltd. Acura, the stylized “A” logo, Acura care, Acura Luxury Lease, Momentum Miles, Mileage Forgiveness, and Acura vehicles are trademarks of Honda Motor Co., Ltd.